We're not talking about sticky, sugar-laden, insulin-inducing cinnamon rolls here. This much-loved spice has actually shown evidence of lowering blood sugar. In a trial of type 2 diabetics reported in 2006, an extract of cinnamon that provided the equivalent of 3 grams powdered cinnamon consumed daily for four months resulted in a 10.3% reduction in fasting plasma glucose from levels measured at the beginning of the study, compared with a 3.4% reduction in the placebo group.2 Participants with higher fasting plasma glucose levels at the beginning of the study derived the greatest benefit. "This study supports the hypothesis that the inclusion of water soluble cinnamon compounds in the diet could reduce risk factors associated with diabetes and cardiovascular disease," authors A. M. Roussel and colleagues conclude. Interestingly, a recent article appearing in Food and Chemical Toxicology suggests that cinnamon inhibits the misfolding of human islet amyloid polypeptide that is regarded as a causative factor in type 2 diabetes mellitus.13 The authors of the study identified proanthocyanidins as the main anti-amyloidogenic compounds occurring in cinnamon water extract and discovered that these compounds also decreased human islet amyloid polypeptide aggregation's damaging and toxic effects. 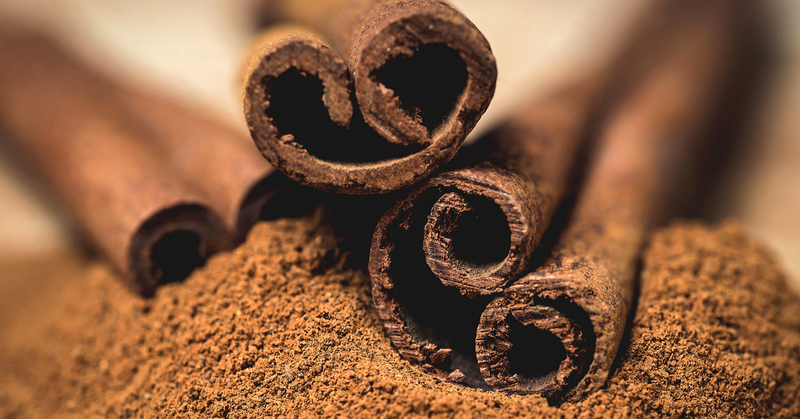 Cinnamon has shown its value among populations who are looking to optimize their glycemic control. There appears to be a variety of valuable, recent human studies on this beloved ancient spice. We conclude this review with a study of hyperglycemic subjects who were given a 250 mg dried water-extract cinnamon capsule twice per day or a placebo. Participants in this 2010 study showed a reduction in fasting glucose after two months.18 One should take immediate action at the first signs of hyperglycemia to lessen the chances that diabetes will develop. Ziment I. Respiration. 1991;58 Suppl 1:37-42. Mang B et al. Eur J Clin Invest. 2006 May;36(5):340-4. Crawford P. J Am Board Fam Med. 2009 Sep-Oct;22(5):507-12. Akilen R et al. Diabet Med. 2010 Oct;27(10):1159-67. Lu T et al. Nutr Res. 2012 Jun;32(6):408-12. Roussel AM et al. J Am Coll Nutr. 2009 Feb;28(1):16-21. Hlebowicz J et al. Am J Clin Nutr. 2007 Jun;85(6):1552-6. Hlebowicz J et al. Am J Clin Nutr. 2009 Mar;89(3):815-21. Solomon TPJ et al. Diabetes Obes Metab. 2007 Nov;9(6):895-901. Solomon TP et al. Eur J Appl Physiol. 2009 Apr;105(6):969-76. Askari F et al. Nutr Res. 2014 Feb;34(2):143-8. Wang JG et al. Fertil Steril. 2007 Jul;88(1):240-3. Jiao L et al. Food Chem Toxicol. 2013 Jun;56:398-405. Pham AQ et al. Pharmacotherapy. 2007 Apr;27(4):595-9. Davis PA et al. J Med Food. 2011 Sep;14(9):884-9. Akilen R et al. Clin Nutr. 2012 Oct;31(5):609-15. Allen RW et al. Ann Fam Med. 2013 Sep-Oct;11(5):452-9. The Cinnamon is really helpful, true that. 'Cinnamon Helps Maintain Optimal Blood Sugar Control'! The article states using a water extracted cinnamon extract. That removes most of the Coumarin.